Wearing improper footwear is among the leading causes of foot problems. If you’re a runner or athlete, then be sure to choose shoes that provide your feet with sufficient cushioning and arch support, and to switch to a new pair when your current set wears out. If you’re someone who likes to wear high heels, then limit how often you wear any that have a height greater than an inch or 2. Frequently wearing high heels can cause nerve damage, lower back pain, knee pain, bunions, and hammertoes. One of the most common mistakes that people make when it comes to their foot health is ignoring pain symptoms and allowing small problems to progress into bigger ones. In many cases, simply resting your feet and taking a break from exercise and sports can be sufficient for allowing your feet to heal. If you have persistent pain symptoms, however, then it’s important for you to see a podiatrist for an examination. Keeping your feet dry and clean can go a long way in preventing skin and toenail infections. Whenever you bathe, remember to give your feet and toes a thorough scrubbing with soap and water and to dry them afterward. Keeping your feet dry can help prevent fungus from taking hold, so wear shoes and socks that offer air flow and avoid having any excess moisture around your toes. 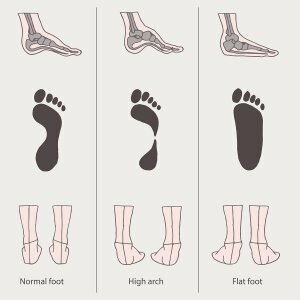 Simply looking at your feet on a regular basis is one of the best things that you can do to help keep your feet healthy. If you notice unusual sores, bumps, or calluses on your feet, or that your toenails are flaky, thick, or discolored, then you should schedule an appointment with a foot specialist. One common condition that foot specialists near Sugar Land can treat is plantar warts. Plantar warts are skin growths that are caused by viral infections. They can be painful when they grow on the weight-bearing areas of the feet and they can often recur despite podiatric treatment. That’s why podiatrists recommend taking steps to reduce the risk of contracting the viral infection. Plantar warts can easily spread from place to place, both on the same person and from person to person. Avoid walking around barefoot to reduce your risk of contracting this viral infection. You can wear flip-flops while using shower facilities in locker rooms or hospitals. Never touch a plantar wart on yourself or someone else; instead, see a podiatrist promptly. Keep your feet as clean and dry as possible. If you tend to sweat from the feet excessively, you may wish to change your socks several times during the day, especially in hot weather. Foot pain and swelling is common during pregnancy and can make women extremely uncomfortable. In fact, the impact of pregnancy on the feet can be so significant that many women experience a change in shoe size after they give birth. Although most foot problems that occur during pregnancy are uncomfortable but easy to manage at home, in some cases, it is necessary to consult with a foot specialist in Sugar Land . Weight gain during pregnancy increases the pressure on the feet, which can cause foot pain and swelling. Pre-existing foot conditions, like bunions and hammertoes, often get worse during pregnancy. Pregnant women are also prone to developing plantar fasciitis. You can reduce your risk of foot complications during pregnancy by staying within your doctor’s recommended weight gain guidelines and by controlling the amount of salt in your diet to reduce swelling. When swelling does occur, elevate your feet. Wear comfortable shoes that don’t restrict your toes. If you experience persistent foot pain, visit your foot doctor for treatments that can help. Plantar fasciitis is a common and painful condition that affects the plantar fascia, the ligament that runs from the heel along the bottom of the foot. Although it frequently begins in one foot, over time, it may impact both feet. If you think you could have plantar fasciitis, see your foot doctor in Sugar Land as soon as possible for diagnosis. The earlier you begin treatment for plantar fasciitis, the easier it is likely to be to get relief. Consider making an appointment with your foot doctor if you have these symptoms. The pain caused by plantar fasciitis is usually sharp and intense. It starts in the heel and may run along the bottom of the foot. The pain is at its worst after a period of rest, when the ligament gets stiff and needs to be stretched out again. For that reason, most people complain of significant pain when getting out of bed in the morning or after extended periods of sitting or standing still. Depending on the severity of the condition, the pain may go away completely after the ligament gets stretched out after periods of walking around, or it may persist throughout the day and interfere with mobility. Burning sensations are also possible with plantar fasciitis. This kind of pain usually occurs along the bottom of the foot and may persist all day. Burning pain may be accompanied by numbness or tingling that may be relieved after walking to loosen the ligament. Stiffness is a very common symptom of plantar fasciitis. The plantar fascia can get very right and stiff after periods of inactivity, causing stiffness that affects the whole foot. Swelling is also possible alongside the stiffness. If you have plantar fasciitis, your foot doctor may show you exercises you can use to reduce stiffness to help control some of your symptoms. Many people with plantar fasciitis must do these exercises as soon as they get out of bed in the mornings to reduce the intense pain they feel. If you’re suffering from foot pain or heel pain, visiting a podiatrist can lead to a diagnosis and treatment options that can offer you relief. A foot specialist in Sugar Land will attempt to treat your condition with non-invasive, or non-surgical, options first. These treatments include minimizing your use of your affected foot, icing the area, taking ibuprofen to reduce pain and inflammation, and using splints or orthotics to correct the problem. If these treatment options are unsuccessful, your podiatrist may recommend surgery to preserve your foot health. 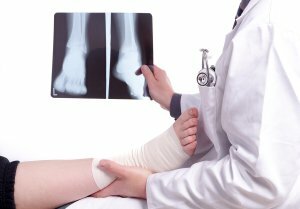 Conditions that may require reconstructive foot surgery include adult flatfoot syndrome, a foot or ankle fracture or break, acute stages of posterior tibial tendon dysfunction, severe neuromas, and tarsal tunnel syndrome. If a previous surgery proved unsuccessful in treating foot conditions such as plantar fasciitis, ingrown toenails, heel spurs, hammertoes, ganglion cysts, and bunions, you may require further reconstructive surgery. Reconstructive foot surgery can provide relief from foot and ankle pain, and can prevent further deformity to the feet and toes. This surgery will help you regain the full function of your foot and ankle, allowing you to resume activities that may have been painful for you pre-surgery. Plantar fasciitis is caused by a strain to the plantar fascia, or the ligament that runs from your heel to your toes. This ligament acts as the primary support for the arch of your foot, and if it becomes injured or strained, you may have difficulty standing or walking. If you believe you are suffering from the symptoms of plantar fasciitis, visit a foot doctor in Sugar Land for diagnosis and treatment. The plantar fascia can become strained in many different ways. If you walk or run in such a way that your feet roll inward, or if you suffer from high arches and flat feet, you may be more susceptible to developing plantar fasciitis. You can also acquire plantar fasciitis if you’re an athlete and run often, or for long periods of time, or if your job requires that you stand or walk for the majority of your day, especially if you wear ill-fitting shoes that don’t provide adequate support to the arches of your feet. Tight calf muscles or Achilles tendons can also cause plantar fasciitis. The symptoms of plantar fasciitis can come on suddenly, and can also disappear and reoccur. These symptoms i nclude pain while standing or walking after a period of rest, such as when you get out of bed in the morning, increasing pain after prolonged activity, and the feeling that the plantar fascia or the arches of your feet are being stretched or strained as you walk. You will notice that the pain subsides or disappears completely after you have rested your feet for a while, and will reoccur after another period of activity. The first treatment your podiatrist will recommend you try is resting your feet. He will suggest that you avoid any running or jumping, and that you attempt to avoid prolonged periods walking or standing. He may advise you to ice your feet, take ibuprofen, and wear different shoes that offer better arch support. If these treatments are unsuccessful, he may try steroid shots. Foot surgery is rarely necessary. Your foot health can have a demonstrative impact on your quality of life. If each step brings pain, you may need foot surgery. While foot surgery may entail a few weeks of rest and recovery, it can help you enjoy several decades of pain-free movement. A consultation with a foot specialist in Sugar Land can help you better understand the type of foot surgery that best meets your needs. The mild discomfort of an ingrown toenail can quickly evolve into severe pain and infection. Once the toenail penetrates the surrounding skin, topical medication may not be enough to alleviate the problem. Instead, a foot doctor may decide to perform ingrown toenail surgery. This procedure may require the removal of the toenail and damaged skin so that the toe can begin the healing process. To prevent any surgery-related discomfort, the podiatrist can provide appropriate pain relief aids. 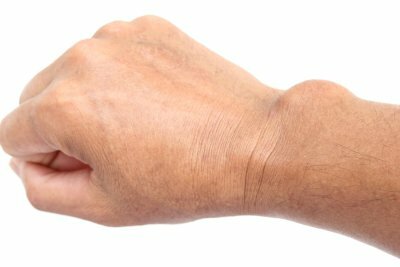 Ganglion cysts do not normally contain malignant cells, but they can cause significant foot pain. These fluid-filled growths often develop in proximity to nerve endings in the foot on which they may press. This chronic pressure can then produce acute pain for sufferers. To eliminate foot discomfort, a foot and ankle specialist can remove the ganglion cyst contributing to it. This surgery is often an outpatient procedure and recipients of it frequently report a fast recovery period. Plantar fasciitis is a condition that causes inflammation along the base of the foot. This region contains connective tissue that extends from the toes to the heel of the foot. However, the plantar fascia is often vulnerable to irritation. Individuals who partake in activities that may place considerable pressure on the bottom of the foot are particularly susceptible to plantar fasciitis. When rest and pain relief aids cannot alleviate the discomfort of this condition, a foot doctor may determine plantar fasciitis surgery the best treatment alternative. This procedure eases tension in a portion of the plantar fascia so that recipients can once again walk without pain.